It’s difficult to describe Albuquerque, both ancient and cutting edge, equal parts cool and quaint. It’s an oasis in the high desert. Full of people with rich histories and inspiring ideas you won’t find anywhere else. There’s truly no other city like it. Albuquerque is where we find Teresa Madrid, the Adult Mentor to Café Scientifique’s Albuquerque site, and our December member Spotlight. Café Scientifique in Albuquerque was the original program site started by Michelle Hall and Michael Mayhew. I joined as an Adult Coordinator in 2012. The venue is at a local library and many teens come from the central part of the city. In Albuquerque, we are fortunate to have presenters come from the local Sandia National Labs and the University of New Mexico Health Sciences and main campuses. While our program has attracted students from all over the city, we are proud to have many home schooled students attend consistently as well. I completed my Masters Degree in Public Health Genetics at the University of Washington – Seattle in 2010. My work in graduate school introduced me to informal educational programming and program evaluation in diverse populations of students. I really enjoy seeing programs that are outside of they school system introduce students to opportunities for learning. Upon graduation my small family moved back to Albuquerque and I learned about the Café Scientifique program as I was searching for work. While I ended up working at the University of New Mexico full time, I decided to join the Café Scientifique team too. This gave me the opportunity to work in the community directly with students. My program in Albuquerque is part of the Café Scientifique New Mexico node. 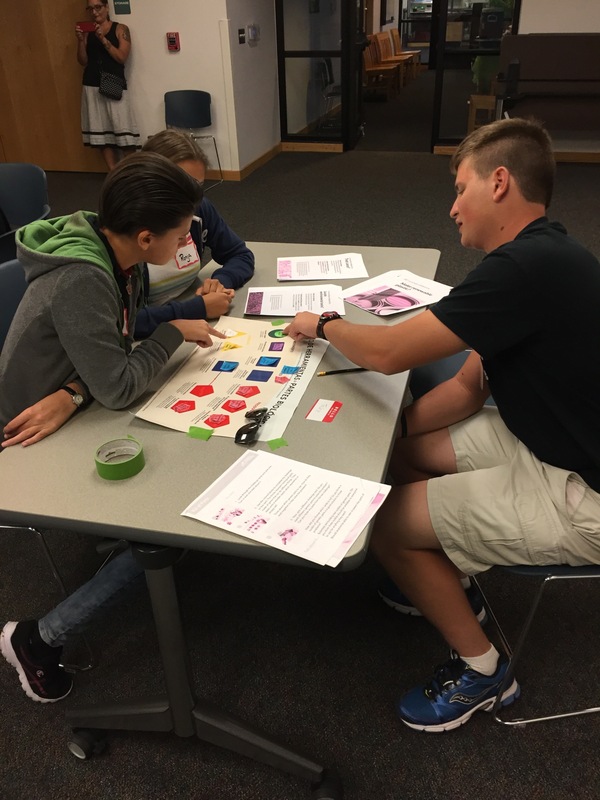 Albuquerque is a large city and students have many opportunities to become involved in things that interest them. 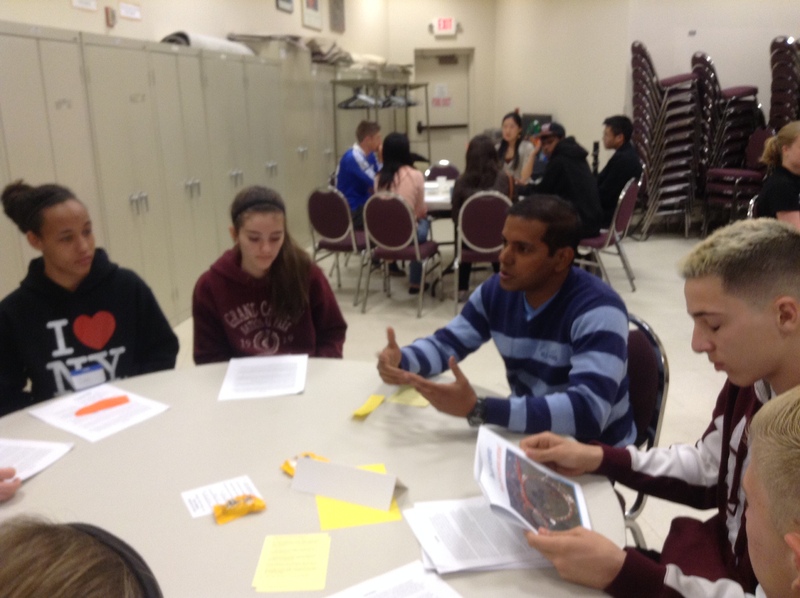 While we have a great turnout at each café event, our Teen Leadership Team has remained small. The leadership team is critical for making the program successful and provides an opportunity for students to really take responsibility. However, it has been difficult to get a large group of students committed to the team because students have other obligations to programs or athletics. An all time favorite in Albuquerque is a presentation by Russell Morton from the University of New Mexico. He provides an insight to the human brain by talking about Zombies! Plus, he has a group of graduate students who show our students a brain (a real brain) and allow them to hold it. It’s always fun to give students a first time experience and most have not seen a human brain before this café program. I love it when students return to the program each month. At first some students show up with a friend or because they want extra credit at school, pretty soon they are every café program asking questions and getting involved. It’s a great feeling to see students return month after month excited to learn. Stick with it! Some months the attendance is low and once in a while a presentation is a flop, but sticking with it long term will give you the chance to see what a great program this is for students. Plus, there is so much flexibility that doing what works best for your community is guaranteed to make it successful.